On February 12, 2019, Future Ready Schools® (FRS) held a webinar as part of the ongoing professional learning opportunities for school leaders. ‘Seal the deal’ with student-centered strategies. Brianna Hodges: Hey there guys. It’s Brianna Hodges. I’m the Future Ready advisor for instructional coaches. And I am super excited to be here with Shannon Miller today and get this party started on a Perfect Match. Shannon Miller: And I am Shannon McClintock Miller. I am a teacher-librarian in Van Meter, Iowa. I also serve as the Future Ready librarian spokesperson. You can find me on Twitter @shannonmmiller and I blog the library voice and I also put my email in here in case you have any questions afterwards. Brianna Hodges: Awesome. 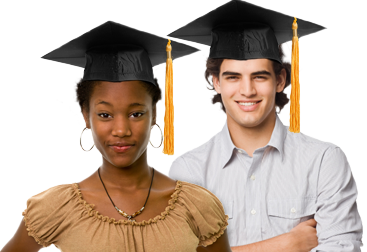 Future Ready Schools is a project of the Alliance for Excellent Education in Washington D.C. Future Ready Schools is a collaboration between the Alliance an advanced coalition of over 60 other national and regional organizations. The goal of Future Ready Schools is to maximize digital learning opportunities and help school districts move quickly toward personalized student centered learning. The effort provides districts with resources and support to ensure that local technology and digital learning plans align with instructional best practices and are implemented by highly trained teachers and maximize personalized learning experiences for all students, particularly those from traditionally underserved communities. I’m going to go ahead and jump into the frameworks. Actually before we jump into the frameworks I want to welcome you guys and remind you to use the hash tags for today’s webinar. Those are FutureReady, #FutureReadyLibs, and FutureReadyCoaches. So, thanks so much for making an investment. I know lots of people across the country are experiencing some tricky weather. So, we are super excited to be in this with you guys. So, Shannon, do you want to go through the library and framework for us a bit? Shannon Miller: Absolutely. And we wanted to just start out by kind of defining our roles and the differences between librarians and coaches. We put frameworks in for both of us as Future Ready librarians. And then the next slide Brianna will go over their framework a little bit. But I think the thing that we really want point out too with us as librarians is when we look at our framework, you know, to be able to look at those edge of the wedges and what we do in particular as librarians especially when it comes to the instruction and curriculum and assessment piece is as librarians you know, we’re carrying in all those digital resources and building these great instructional partnerships and of course empowering our students as creators with all of the great tools and resources that we find and helping to support the teachers and the students in this. And that relationship piece that we have with the instructional coaches is what we’re really going to talk about today because I know that especially in the role that Brianna has in her amazing school that she had before at her school I went and visited her once and saw firsthand which was awesome. I think that it’s really neat to kind of define those roles but how we can also work together. And another thing that really stands out to me is you know, we lead beyond the library as librarians. But we have that collaborative leadership that is really what we’re going to focus on being able to use the collaboration that we have and the skills that we have to empower our teachers and learners to do these things to focus on too in that wedge of curriculum instruction and assessment. Brianna Hodges: Awesome. Okay, well, let’s take a look at what instructional coaches do. And I want to give a shout out real quick to Dawn from Tacoma Washington. She had also asked this question of how do we define these roles. And it’s actually something that we start pretty much every single future ready institute with as far as the coaches training goes is how do we define our role. And I say that because it’s really tricky. Across the country there is not a consistency in what we use in the description that we use for coaches. Some people call them teachers on special assignment. Some people call them instructional coaches. Some people call them ed-tech coaches. We’ve got a variety of names and the list goes on and on and on and on. And I think that’s one of the things that really is a bit of a challenge whenever we go into kind of describe this. And really at the core of this if you’re not familiar with the framework and this is your first time looking at it really want to give you an opportunity to go to FutureReady.org and download the frameworks and give yourself some time to really dig into them. But the main piece that we really- really when you boil down the coaches framework is that we’re here to help the learning and what does that look like in the classroom. We’re there to oftentimes we say that we’re there to support the teachers. But really most importantly we’re there to support the learning and what that looks like in the classroom. So, coming in side by side, shoulder to shoulder, looking at and modeling and demonstrating, whether it’s co-teaching or modeling or conferencing with what those best practice instruction opportunities are. So, that’s really that difference. Some districts don’t have that coaches staff and some districts do. I’ve been in both. I’ve been really fortunate to kind of bring that into one district and into another to come in to one that already had a coaches’ role established. But still, what does that look like and how do we kind of interact together through that instructional lens to see how we can help our schools go in that Future Ready direction. Shannon Miller: Well, and I think too just looking at I think about, you know, listening and especially watching what Brianna does in other instructional coaches around the country. Even mine at my school at Van Meter and being able to see I think it’s exciting for me to see that as a librarian because it makes even our jobs as librarians even more relevant and important because we have not only the teachers and students that we need to be supporting and working together with. But just like Brianna said, working, you know, side by side with these instructional coaches to be that perfect match in the school, to be able to support, to be able to teach together, to be able to provide resources, to think of ideas. And I know for me the brainstorming that I have with my instructional coaches and just the co-teaching that we do and the support that we give each other, it’s really been an awesome relationship for me to have at my school because it kind of defines my role and the importance more in the learning piece of what I do as a teacher-librarian. So, something like this is I’m sure that a lot of you listening that’s something that I think is really exciting where we’re going within our schools and that is something that I know for me and I’m sure a lot of you too has become so important for our kids as well. Brianna Hodges: Absolutely, and I think that one of the parts of that is we are starting to see that transition right, and our schools go away from the siloing and the isolation of certain roles. And really of our content areas. So we’re starting to see that cross-curricular collaboration and even cross-grades and cross-schools and all of those opportunities. So, it only makes sense that that’s also being reflected in our jobs. I think that as grownups sometimes we feel like that can sometimes be interpreted as stepping on people’s toes. But if we have informed those really good relationships we’re able to really partner together and play off of each other’s strengths and maximize the opportunities to really scale and leverage the learning that can happen. And I think that that’s why personally for me I’m so excited to be able to do this call with Shannon today, because I do think there’s so much importance of having that successful partnership together whenever we bring these two mighty forces together. Shannon Miller: Absolutely. I just wanted to mention too if you’re new to the frameworks and new to this conversation, looking at this we’ve just taken a few pieces of each one of our framework out so we can kind of focus on them today. And this is something that’s a really good practice to do too within your school when you’re sitting down with your instructional coaches, your curriculum director, you administrators and having these conversations on how you can work together. Pulling these out of the frameworks and having them for that conversation, that just common roadmap is something that is so important and what really strengthened this relationship as well. Brianna Hodges: I’m so glad that you used the word “roadmap” Shannon because I think that’s something that we see a lot. This isn’t a recipe book. It’s not a mandate of this is what you will do in your roles. But instead it’s kind of like these are the main opportunities for us to you know, really kind of champion for and provide opportunity for change. So you kind of look to see maybe you’ve been to this state before but you haven’t ever had an opportunity to take some time out to go see this roadside attraction. So you’re going to check it out on your map and you’re going to spend a little bit more time in one particular area than you would have something that you feel like you’ve visited this one part over and over again. So I think it’s really important to continually refer back to that framework and see where your focus needs to be this go-around. Shannon Miller: Absolutely. I think that’s so great. We’re through this webinar we’re just talking with Brianna and her and I are not only colleagues but friends too. And we know a lot about each other’s practice. And I think that one thing that is really fun is just finding that perfect match on how we can support each other. So, how can librarians and coaches come together to support innovation? This is where we’re going to start in our conversation today. Brianna Hodges: Absolutely. So, I think one of the, again, several questions thanks all to each of you, to everybody who is putting in questions ahead of time. We really appreciate that. Several questions have been popping up about this specific questions, sorry as I stumble over my words of how do we gently navigate who’s in what role and what those things look like? Like I said sometimes as grownups we stepping on each other’s toes can either be very painful or it can be quickly a way to connect because you’re all the sudden finding yourself apologizing and starting in on a conversation that you really wanted to have. So, as we kind of come into that what are some best practices that are out there? I think that part of is first and foremost, kind of acknowledging within yourself of you know, really identifying what those roles are. And I think it’s important at least in the circumstances that I’ve been a part of it is it’s not only important for you to identify your own role. But it’s also important for you to listen how someone else has identified their role. And not to make a snap judgment on what somebody else does, you know, that whole Atticus Fitch, we got to make sure we’re looking at people’s perspectives through their own shoes as opposed to just looking at and making those judgments on that. So that said, how do we kind of dive in and work together as we come into that? So, I personally and if I think Shannon I think if you could go to the next slide I think this goes into this next slide where we’re really having some of these conversations of how do we move from telling what it is that we do into those true partnership opportunities. And first thing, really quickly to go back to identifying your role. One of the things that we recommend for our coaches is to share out what it is that you do at the very beginning of the year and kind of frame that for people whether it’s through a virtual business card, or whether it’s through you know, meet and greets during in-service. There’s so many different ways. But having that personalized opportunity for you to really kind of set the tone and set the stage for how it is that you’re there to help support the learning. I think again, it’s really important from a coach’s perspective because it can be interpreted so differently by so many different people to go ahead and lay that out there. Shannon, do you have any tips on how you kind of set your role with people? Shannon Miller: I think that is also you know, so important in kind of towards the end of this I’ll share a slide of what we did at the beginning of the year. And this year I’m really lucky because I have a partner librarian. So the two of us work not only with our instructional coaches, but what you know, kind of define our role again of what we do as librarian and what our instructional coaches. And just also what is kind of expected and what is you know, what we need too from our teachers. So I think those things are really important to start out because so many people even if they hear at the beginning of the year it’s always good to mention that again at the beginning of every year. Even we did a big push at the beginning of the New Year, after the holiday break. You know, just pushing things out again and reminding people that we’re there for them and kind of defining our roles and the things that we can do as their librarians at school. Brianna Hodges: And I’m so glad that you said that of repeating at the beginning of each year. That was one of the things at the Future Ready Institute last year that came out. Several people talked about how they were very intentional in doing at the beginning of maybe their implementation efforts. So maybe it was the first year that they had coaching or maybe it was the very beginning of a one to one initiative whatever the case is, where they were very intentional in setting that frame. But then the next year they just assumed oh people already know this. They know what I do. I have these great relationships with people. I don’t need to reintroduce myself. And this particular coach that I’m thinking of, she was reflecting on this in year three and she noted that her second year when she didn’t introduce herself is when she felt a huge disconnect to that. So she was sharing how important it was to make sure that she set that. And it was almost like a goal setting for herself really of like I want to be very intentional for me to kind of pledge out this is what I’m here for you for and frame that, as opposed to just assuming people knew that. So I think that’s – thanks for sharing that part. Shannon Miller: Yeah, I think it’s important too for people to actually like see it too. I think about having just conversations to that true and powerful partnership just like it says. But having people actually see that throughout the year is also important, have it be, you know, front and center what you do with this person and your partner and I think that is a really big thing for the teachers in this school to see too. And your administrators, everybody that you work with. Brianna Hodges: Absolutely. Okay. So now that we’ve kind of gone into our roles, then I want to give out a couple shout outs of people who are really making this relationship work. So a couple of them from right here in my district from Eins here in Austin. Lisa Johnson here on the left and Caroline Foot over here on the right, at least that’s how I’m looking at it. I’m sorry if it’s opposite for you guys on your screen. But these are both Lisa is an ed tech here at West Lake High school and Caroline is the librarian as well as our district librarian for our district. And they have an amazing relationship. These were the things that were so powerful for them that they shared with me. They said at the bare minimum you have to have a mutual trust and respect both personally and professionally of each other to be able to work into this partnership. They said secondly it’s an understanding of the role as where your personal and professional expertise are. Lisa, if you follow her work, she just released a new book and she is insanely passionate about journaling and the power for reflection and the power that really helps us as far as our academic learning and professional learning and all these different pieces. And that’s’ one of those things that Caroline can really kind of point to. And they partner together on so many different presentation opportunities and ways to work with teachers. So it’s nice for them to be able to know those things as they kind of come into those classroom settings, which also was important for them to walk through you have to maintain both on the classroom as well as the campus climate and culture. So what’s happening? How can we continue to be seen and really kind of move into that? As far as they go, the biggest things that they said were really important to them as they continued to stay in the loop for each other. They’re continuing to talk through, “Hey, I just heard about this project, or this teacher just came to me with this idea. Or I was noticing that this was coming up in the curriculum.” Then as they’re having these conversations, and these may be you know, just a quick little conversation over a diet coke at 3:00 in the afternoon. Or it may be a scheduled meeting. Then they’re able because they know where each other’s passion points are and where each other’s expertise are. They can really help fill in the gaps there, which is super, super nice. Shannon Miller: I just wanted to say too I think like that the last thing keeping a pulse on the classroom and campus, that’s like just always having each other’s back and even if it’s just mentioning something like passing in the hallway, it doesn’t have to be this big scheduled you know, meeting or something that you know, you prepare for even. Just mentioning that or quick text or something that is just really organic can sometimes be those best connections. You have to remember that that comes in that relationship piece too. That’s why it’s’ so important. Brianna Hodges: Absolutely. And again, like playing off of your strengths, like one of the things that Caroline and Lisa do so well is Caroline she really wants to focus on, there’s a project that our high school does that’s the Vietnam project. One of the elements that Caroline is very strong and very passionate about is the research and the story design. They put together this video. As they are creating it she’s with them, giving them tips and things over that. Whenever they transfer into the actual creation element of it, then Lisa comes in and talks about the logistics of creating this. How is this going to work best, how can we plan for it. She is super amazing about slide design and about presentation opportunities. So they can kind of pull off of that. So it doesn’t have to be a full on investment of time of both parts. It can be where they can kind of bounce back and forth and not, again, have to dedicate a huge amount of time where they’re not able to feed into other needs as well. Shannon Miller: So, for this next one this is another one of our amazing ED techs which is Fred Benetez, and he works with the librarian at his middle school which is West Ridge Middle School again here in Eins. And he shared this amazing story with me, which is that his librarian Pat came to him with a proposal last year where she wanted to showcase how much reading is actually happening. So, she referenced this article from Penny Kittle and it inspired them to create this Google form that students would then fill out. So they used the Google data studio and then they created this digital dashboard that they kept up going in real time that would help- they shared it at the front of the school. It was in all the major common areas. So that way they could just continue to keep that focus going on literacy, how much are we reading, again, bringing that to the forefront. And they dream teamed it together and called it Reading at the Ridge. One the next slide actually I have a snapshot of what that looks like. So, they again have- they ordered a flat screen panel just to be dedicated specifically to this project as well. You know, because kids just got crazy excited about it. We’re really excited to just see their reading actually in action. Another project that they worked on was something to promote Lonestar Books here in Texas. So, they are working on creating book trailers. Fred is an ADE, an Apple Distinguished Educator and he’s also an Adobe education leader. He has insane skills when it comes to film production and just his artistic eye is so, so on point. He has really helped with the creation opportunities to merge that in together. Again, kind of pulling from what I was talking about with Lisa and Caroline, Fred and Pat are able to showcase here’s this marriage between this curriculum and this content and the, and visualize this bringing it together to pull this demonstration of learning together. And it’s just been such an amazing thing to watch with them. So huge shout out to those fine folks for what they do. Brianna Hodges: Now, I love that. You’ve shared that project with me before. So cool. Another thing that is really helpful to us, just these projects and ideas are so awesome. But sometimes it’s a little overwhelming to think about how you would figure out just how to get it done, how to work your collaboration, how do we know it’s going on in the classroom so we can be supporting. And one thing that we do every year is just start a simple Google doc where we send it out to the teachers and I’m in a K12 building. So we have one for elementary and secondary. And then the teachers are responsible for filling in these blanks on what’s happening in our classroom. The great thing about this is not only when I first started it it was for me as a librarian and this was many years ago, but now it’s really nice for all of us because the instructional coaches and the librarians and even looking like how we can tie in across the grade levels and across the curriculum these things that are happening within the classrooms and our kids. So this is something that is such a simple idea. When we were kind of struggling to get some of our teachers collaborating and this happening across the board even more, this is something that we put into place. And within months we saw the collaboration skyrocket because you don’t want to be the blank row or boxes. This is something that everybody can see. This is a public Google doc that you know, our administrators and our teachers and everyone can see this because we’re collaborating and working on this together. So, something like this can just really, really help. Another thing that’s been helpful to us is we have a couple different Google classrooms this year. So, of course we all share emails. We’re librarians. We’re instructional coaches. We like to share things that we find. It can often be a little overwhelming to people too because it’s a lot of you know, information and just keeping up with that slam of tools. I have loved using Google classroom for this because it not only is a great way to get things into the hands of the teachers and sharing these resources and these collaborations. But it’s a way also for you to organize it yourself. So then when you’re looking and you’re saying okay, just had that great thing I did with Kate. She’s one of our instructional coaches and a classroom teacher. I did this great thing with Kate and we shared this project. Now I got to find that email. I can go into my Google classroom and look at that topic and it’s all there. So when I go into my next year and I have these great things that we’re doing and things I want to share I can just go back, even reshare it, or change it and post it again. We have a couple of them we have them for our tech coaches and sharing resources that way. Just really good way to kind of keep everybody in the loop. We also use destiny collections and collections have been an amazing thing to do to really spur that collaboration and bring us together in one place on the things that we’re sharing. But again, having a central place is we know that we’re collaborating on the things that we’re sharing. So things aren’t being shared in multiple ways in all these different places, just like Google classroom. We’re bringing it together so we can have them there. We can curate them. This is something that I can help as a librarian really help my instructional coaches and our tech coaches on the things that we’re all sharing and how we’re getting these resources to our kids and our teachers. And even to our families. So using collections I just made all of these just in Canva, made the slides so they look really nice and neat together. And in collections you can collaborate on them. So by adding our instructional coaches and our teachers they can be a spot where we curate together. So this has been a really, really helpful way to just really kind of marry those relationships together as a place for everybody to use. Shannon Miller: I love that you said to pare down and pick a few places as well because I think that’s one of the things that we all struggle with because there are so many options that are out there. But also to be able to build some depth of that curation in some very pointed opportunities there’s a lot of merit to that too. So I appreciate that part of it because I think it can easily become overwhelming to just think, oh gosh, then I also need to have this and this and this and this. And you know, from the classroom perspective we get that anxiety that comes up as we try to dive into that. Brianna Hodges: I love that you said to pare down and pick a few places as well because I think that’s one of the things that we all struggle with because there are so many options that are out there. But also to be able to build some depth of that curation in some very pointed opportunities there’s a lot of merit to that too. So I appreciate that part of it because I think it can easily become overwhelming to just think, oh gosh, then I also need to have this and this and this and this. And you know, from the classroom perspective we get that anxiety that comes up as we try to dive into that. Shannon Miller: Yeah, and I think that’s something that as librarians we can kind of help with and kind of model too. So to bring that to the table to be able to bring those skills it’s a really important thing to do so we don’t get overwhelmed. Brianna Hodges: Absolutely. Before we move into this next one I want to grab a question off the wall that’s been posted out here. This one’s actually, it’s a little bit of a- it’s kind of a push question. And I think it’s one that’s really, really important. So, you know, basically it says what from a library perspective what would librarians like to hear from an integration coach so that they don’t feel threatened or feel like their turf is being invaded and vice versa? So, I think that’s –kind of the point of one of the reasons why we’re having this conversation today. So I’m going to- I know that you don’t necessarily have that situation in your personal school. But can you share some ideas or conversations that that has- that you might be aware of? Shannon Miller: Well, I think that’s where like the Future Ready frameworks come in handy too because being able to sit down and see where our jobs are different on our skillsets and the things that we bring to the table, but also to see where they come together. We all have strengths and weaknesses. We all do. It doesn’t matter like what we do as you know, Future Ready librarians or instructional coaches or whatever, things that we love and we have things that maybe we’re not so hot at. And so just like putting it out there on the table and getting a chance to just know each other first. Because you can’t have these relationships and have this great, like working relationship if you don’t have at least the start of a friendship and a relationship first because we need to know you know, what we like and dislike and what our strengths and weaknesses are. And kind of pinpoint what our jobs. What do we do as librarians? What are our jobs as instructional coaches? And put them down on paper how we can do those two roles but also bring them together. Working on something like a Google doc again is super helpful. So, whenever we have a collaboration if it’s between a classroom teachers or the tech coaches or the instructional strategists or coaches, like we have a Google doc that we have our specific roles and things that we have to do. The great thing about this is not just for us to be able to see that. But when we’ve having conversations like maybe we have a conversation with our administrators about it. Or maybe our kids are questioning even you know, like this co-teaching that is happening in the classroom and just to have those things and have kind of not only like the merge of what we do together as a job. But kind of have that line too of what each responsibility is really important. The great thing for me, my instructional coach in the elementary, her name is Kate. We have a great relationship. She’s also a fourth grade teacher for half of the day. We know each other. We’re friends. We’ve worked together for a long time. We’re really good at co-teaching together. And that really shines through because that comfort level. But you have to get I think to that spot first. You know, or at least starting on that road to be able then to go to that next spot but really defining your role and your relationship is key I think to that. Brianna Hodges: Right, I mean, hopefully you’re not going to get married until you at least introduce yourselves. I think it’s one of those where we forget that that part is so important to really come at it. I was thinking back to when we sat down and did the frameworks, you know, a couple years ago and when we were all broken up into our strand and going through what are our roles, and what are the most important things that we do. And how tempting it was to basically say I do all the things. The superintendent’s I do all the things. The principals, I do all the things. And we then kind of had to pair it back and say like no, but there are certain things that are unique to your role. All of these things are important and we all are looking at the similar entities but we’re looking at them through our specific roles’ perspective. And so I love that of looking at that framework and arrange those commonalities, but also those distinguishers that then can point to why is the coach in this situation, the person who’s going to step in or why is the librarian the person who’s going to be able to offer this lens. Why is the principal going to offer this lens? I think it’s just how do we with respect come together and recognize that everybody is valuable. Nobody is trying to push each other out of the way. If we work together we’re not doing the same job at the same time. We’re meeting different needs. Brianna Hodges: Awesome. With that, how do we set the mood and create now that we’ve established our roles and we’re starting to come together in our relationships, how do we really start to move this through our culture and bring things together. So, I’m just going to run through a couple quick examples. So the first one is again from here at Eins, this is our Valley View Elementary about Dr. Helling Moore and Bradis Smullen and our Valley View Elementary library. They have a really unique setup because for right now they actually have a really large fifth grade group. And their elementary is a K-5 elementary. So many of our elementaries have a special’s rotation where maybe you go to art one day and the next day you go to music and the next day you go to PE. Well, they’ve implemented the library into that. They’ve brought that into that rotation. So, as part of that they have a full class dedicated specifically to the library rotation where they can bring in and highlight different people. So sometimes it might our tech coach. Sometimes it might our instructional coach. Sometimes it’s going to be our counselor. But it’s really that opportunity to bring this in, you know, centralize through the library through the hub of the school and give everybody this opportunity to show how this culture of innovation has really you know, has really grounded into the school. So, its’ really great some of the lessons that they do in there, we have a film fest within our school district. So they might be doing the creation of it. So they might be doing stop motion animation as an opportunity. They do a lot of design challenges, a lot of design thinking challenges, coding as well as just how can we look at these different apps and how do they apply into our academic content. So really a great way to get in there and get their hands messy and experiment and explore. That said, it’s going to lead me perfectly into the next one which is Miss Lisa West out in Stevenville ISD. And Lisa is a librarian at the third and fourth grade campus. And you can go to the next slide for me Shannon. These are some snaps of her morning makers. She actually runs this program out of the library every Tuesday and Thursday. And she does this almost an hour before school starts. So she does it from 7:15 to 7:50 in the morning. And school starts at 8:05. So she averages 150 students every morning twice a week. She has zero discipline problems. It’s pretty amazing. That’s simply because as you guys can see in this picture these kids are totally invested in this. They know that there’s a waiting list. So it’s first come first serve opportunity. So kids, they’re there and they’re ready to go and they know that Mrs. West has a zero tolerance policy. So if you’re not going to do what needs to be done in this time, there’s other people who want that chance. So kids are really just locked in on it. They feel a ton of pride and ownership of this opportunity. And it’s great. I remember when she was putting this all together and people were like oh gosh, how are you going to have all these kids in here. There’s going to be a mess everywhere. She, an amazing master teacher now in the library runs it just the same. She basically tells everybody okay, time to clean up. Within five minutes everything is completely put away and they feel so much pride in it. It’s been a huge opportunity to introduce maker curriculum and maker mindset into the school without having to push into classrooms and take away some of that time. The campus might not have been ready for that right now. So this was a great way for her to really introduce that concept, introduce it to students. And she’s on her second year of this and really, really just, it’s blossomed in so many ways. It’s completely funded through the education foundation. So, she has no technology actually involved in it right now but is hoping that she can kind of build that in there. Again, great way for her to feature things that can be done in the classroom as well as things that are of course deeply important to the library. Shannon Miller: Yeah, I love that. I love what’s happening in Lisa’s library. This slide is actually, I’ll have to fix it in the slides that we share. This is a great project that I did with my friend and teaching partner Kate that I talked about tonight. And Kate is, we have kind of a unique relationship and she has a unique position at Van Meter because being part, fourth grade teacher and then part instructional coach it gives us kind of an opportunity to do all of these projects that we want to do with Kate’s kid with her fourth graders. So things like when we started Bloxels and co-spaces and merge, and we’re now doing digital breakouts with Adam Bella last week. I mean just amazing things. But then we used that time that she has in the afternoon when she’s not in her classroom and he has on that instructional coach hat to use her kids to be able to teach other kids within our school. So we’ve taught the freshmen when they have been doing science projects using Bloxels and Kate will go up there and support those kids with even a handful of her kids. We’re getting ready to use it in our coding and some of our exploratory classes in our secondary. So again we’ll use some of those little coaches that are students within Kate’s class that have done it with her as a teacher in collaboration with me. But then wearing her instructional coach that she’s able to support those teachers and those kids in other places within our building. So super cool way in our partnership to be able to come together. And we’ve been doing so many great things because we have that chance because she’s not totally full time as either one. We’re really able to play off that in cool ways. Another thing that we did at Van Meter which was really helpful and I mentioned this in the beginning is just you can’t tell them enough what you can do, but also giving them a space where they can tell you what they need. And hearing all these great stories, for example Lisa with her maker space, being able to celebrate what’s happening in your library, but also being able to ask your teachers and giving them a time that they can ask what they need from you. So my partner librarian and I, we created these little movie ticket type things in a poster on what we can do as a teacher librarian and also how we can co-teach and collaborate, use our instructional coaches, but then using that ticket as a place that they can write those things down. And you can’t tell them enough you know, what you can do or offer you help enough. And you know, even using things like this we push this out there all the time to our teachers. Hey, let’s collaborate. How can we help you? What can we do together? Again, using Kate and also our instructional coaches that we have upstairs and our tech people to be able to do that together is so important. Brianna Hodges: Absolutely. I think it’s definitely one of those you know, like you said you could never be visible enough. You know, nobody’s ever going to turn down help, especially when you’re right there and so I think that is so important. We added this slide of how do you say those three little important words. It’s not always going to be I love you, although that typically happens whenever you’re in a happy relationship especially when you’re really moving things along. But how can we move this to learning and action and where do we go from having conversations to actually seeing it. And Shannon and I have shared a ton of examples in this. I’ve just one quick one that I want to share of another example that has come in. That is our instructional partner. One of our instructional partners Valerie Taylor at our high school at West Lake High School again with Caroline Foot, and what she does is on the next slide basically what they are working on right now is a collaborative project between the two of them of with US History. In this they have kind of how are they going to scout, they’ve been working with the teachers on how to scaffold this process. They are kind of coming together into the library to find topics and create all these things. Caroline actually created the two handouts on the left using Canva. And then on the right she’s got an element that she created in Pages. So Valerie, she and Valerie work together with the classes on turning in a topic idea into then how do they create those open-ended questions and how do they really move into what is it that I need to know. I’m not just going in, basically the idea is how do we turn research from just Googling information and regurgitating information that’s already there into how can we really bring this to life and have this American history story as they go through it. So they create, they’ve created a paradect to introduce them into some databases of different places where they can go and gather this information as well as- and how do they take these topics and turn them into questions in order to really I guess bring about some more complex information. They’re going to use Noodle Tools which is a library bibliography resource and Valerie’s going to help work with the teachers on how they move back into their classroom then and then really kind of finalize that process of now that they’ve done their research and things, how can they move that into a very topic and pointed focus for them. So just great ways that you can jump in there and continually find those. So, that brings us to our resources now. Shannon Miller: I love that idea. And there’s so many different things that we can share. And we hope that we hear from a lot of you and one of the great places to share which I’m sure that most of you know is we have amazing Facebook groups for Future Ready librarians, for our instructional coaches. So if you have this amazing way that you are collaborating and ideas that you’ve done or projects, please share them on here because I know that I want to see them in everybody will learn so much from the things you have to share too. We also have a collection for each one of the wedges for Future Ready librarians and this is a great one too for just that partnership with the instructional coach and a great place to share things. So, on this one and there is a link in the slide and you’re going to have access to the slides so you’ll have this link too. But this is one too that we can collaborate on together. So, with this collection or any of them please share the things that you are also looking for as well because it’s so important for us to be able to share and celebrate those resources. Brianna Hodges: So, I put in a slide from one of the things that we do from the Future Ready institute and that’s, it’s really kind of a reflective opportunity for us to dive in around the framework. This is on bulb. So if you want to go to the website, which is bulbapp.com on the next slide there’s actually a link directly to that. You can do a free 30 day trial and really just kind of understand a little bit more about how we can leverage portfolios. As instructional coaches that’s one of the things that’s’ really important for us is looking at that reflective opportunity. So that framework is linked off of that slide that Shannon was saying gives you some time to really dive into each one of the wedges instructional coach framework. And then reflect upon where you are personally for that where your district is, and what are some goals, some achievable goals, some obtainable goals that you can set for yourself over the next six months or next year, whatever that looks like. So, go out, give them some love. You can follow them on social media and kind of see some things around that. Shannon Miller: And I just wanted to put too a slide at the end just thinking about if you have questions or you want to find even more resources, the Future Ready Schools website has so many great things on it. You can also look up on there, you can go to the Future Ready library, instructional coaches, whatever page you want and we have so many great things that will really be helpful to you to bring back to those conversations that you’ve having. And when this collaboration, no matter, you know, what stage you are in your relationship you’ll be able to find things that will be able to help support you too. So, make sure that you go there and it’s something that I tried to go to every week to be able to see the new things that are being added. I know too that a lot of you, I have lots of questions on when are the Future Ready School institutes going to be announced. And they are going to be announced soon on this page if you scroll down just a little bit you’ll be able to find a place that you can put your information and then you will be sent an email when these things are actually out there and set in stone. I also wanted to, I should have put a slide in here, we have something fun coming up too. We have, as Future Ready librarians going to have another institute on the Saturday before ___ and that will be made public very soon. So keep your eyes out for that too, because that’s going to be another exciting event to look forward to in June. Brianna Hodges: Also, on the end, at the end of February, February 28 there’s a pretty big day. It’s digital learning day. We hope that each one of you guys will participate with this. Go to, you can go to FutureReady.org and there’s tons of information there on how you can join in the festivities and things, suggestions of things and ideas that you can do in your district as well. Shannon Miller: Yes, thank you so much for reminding of that. Because that is something we don’t want to miss. Brianna Hodges: Absolutely. And if you’re in the Illinois area on the 28th as well, we’re going to be having a Future ready instructional coach’s strand as part of ICE and we would love for you guys to join us out for that as well. So, I hope that this was helpful and kind of playing marriage therapist between instructional coaches and librarians. There’s so many great things that each one of these roles can offer our schools. So I think the biggest takeaway for me personally was communication and just that opportunity to create that relationship and foster that relationship and honor the work that others are doing as well as you know, just get in there and try it and see how it works. Shannon Miller: Yeah, thank you so much for joining us today. It was so much fun to share our stories and different tips. And I can’t wait to see what all of you shared too. Brianna Hodges: Awesome. So, we want to remind our viewers that information on the Future Ready effort can be found at FutureReady.org. We encourage and challenge district superintendents to join the over 3100 others and sign the Future Ready pledge. We also encourage our school leaders watching today to join us at one of the 2019 Future Ready institutes which will be announced soon, which as always are free for attendees. We also would like to encourage our viewers to get involved with the strands. Shannon shared out where on Facebook there’s all different kind of places that you can find us. Please don’t forget to connect with us on Twitter @futureready or on Facebook or pretty much anywhere you can find us. If you missed any of today’s conversation it will be archived at All4Ed.org/webinars soon after this webinar. On that page you can also see a list of upcoming webinars and you can find all of the Alliance’s Google hangouts on our YouTube channel as well. 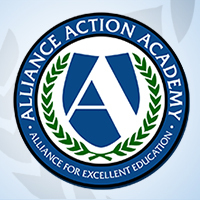 If you are taking part in the Action Academy badging platform, the password for this webinar is coach. So, thanks so much for joining us and we’ll see you guys next time.